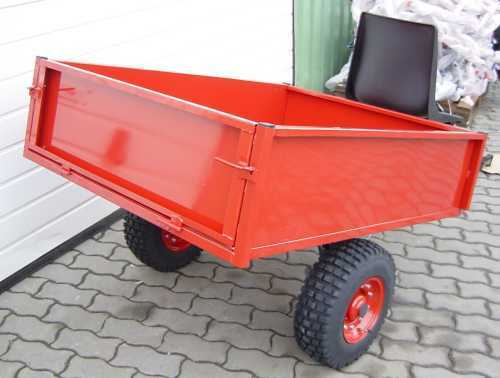 589,00 EUR 19 % VAT incl. 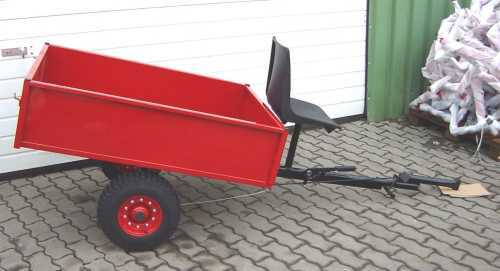 We sell these trailers since 2000 and there was never a complaint. 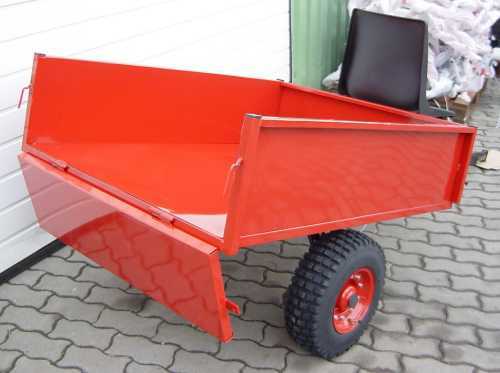 The trailer skip is welded in whole and can be tilted when it is hitched. The tailgate is foldable and removable. 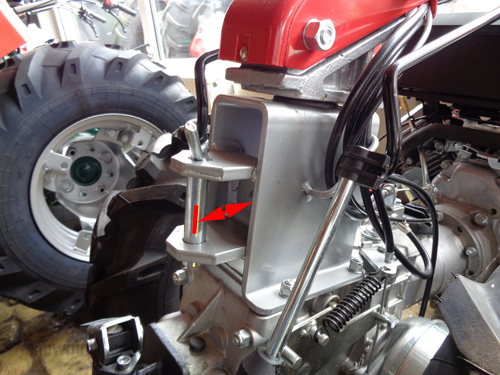 The tilt angle can be adjusted by means of a chain. 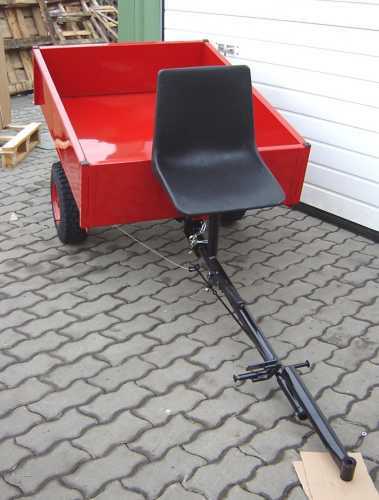 The trailer is equipped with a hand brake. The payload is 350 kg. The weight of the trailers is 95 kg. 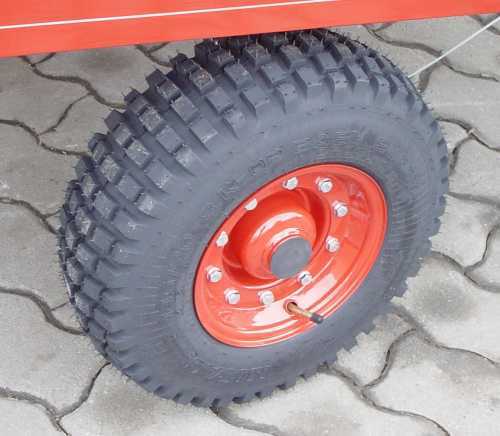 The wheels are mounted on a sturdy tubular frame under the trailer tub. Thus the wheels are not above the outer edge of the skip. 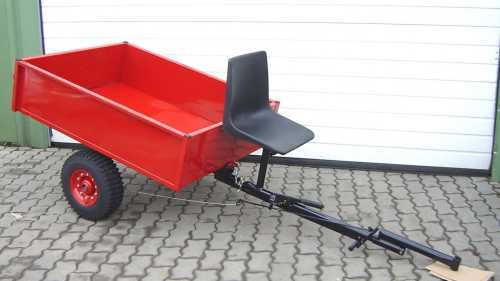 The outside width of the trailer is thus 155 cm. 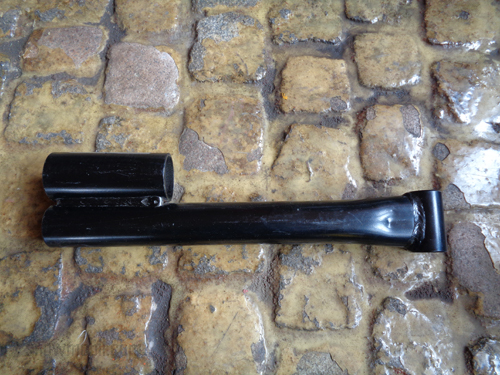 Supplied with the standard adapter included. But it only fits a Honda F560 / F800 / F810 two wheel tractor. 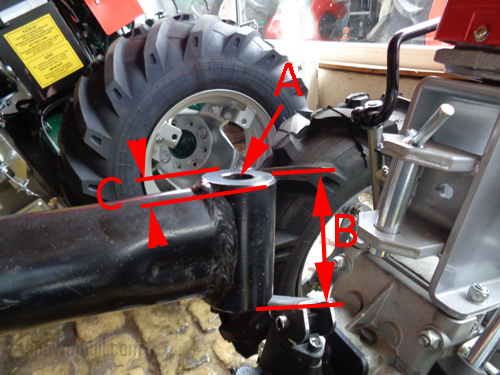 You have two options - cut the adapter off and weld on an adapter for your two wheel tractor yourself - or send us a drawing of your connection to the two wheel tractor and we produce for you the suitable adapter. 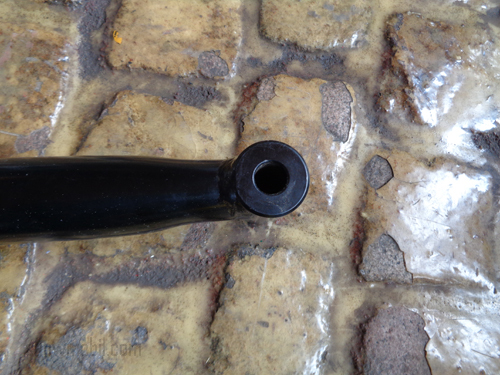 Because this is custom made, we need to ask for 100,00 Euros! 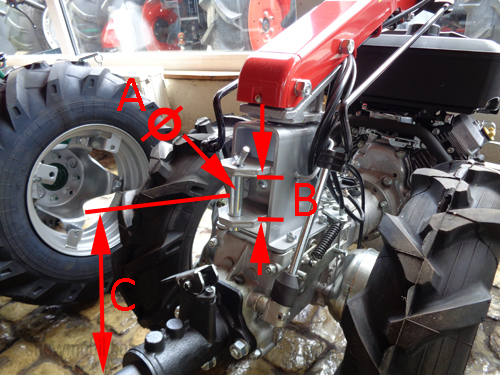 Please give us the measurements of the hitch of your walk behind tractor! Furthermore, we need the height from floor to center of hitch.